Let royal guests compete to see who will be crowned the strongest of them all with this adorable Princess Tiara Pinata. 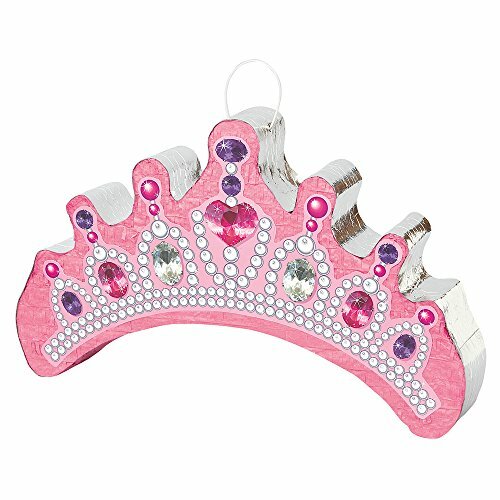 Designed to look just like a princess’s crown jewels, this pretty and pink pinata will fit right in at any girl’s princess birthday party or slumber party. Just line up guests, blindfold them, and have them take turns giving this pinata a whack to try and break it open to reveal the tasty treats inside (sold separately). This pinata can hold up to 2lbs of sweet treats and glitzy goodies, so every little princess will walk away with some treasure to take home.